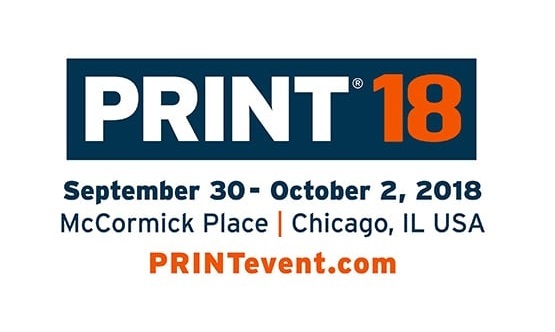 Rollem International will be exhibiting at Print 2018 in Chicago, USA on stand 1423 from Sunday 30th September to Tuesday 2nd October 2018. PRINT is the largest attended printing and graphic communications event in North America. PRINT® 18 will deliver education on future trends, smart growth strategies and business-related issues to empower your success. Rollem International to Preview two sized Die Cutters, In-Line Folder/Gluers and Automated Slit/Score Perf Systems. Preview the new Insignia X3 Die Cutter with opportunities to expand into the growing packaging segment with affordable, high quality custom die cutting. This flexo-magnetic die cutter offers a versatile sheet size with a 24×24” capacity, ideal for finishing output from offset or larger format digital presses. With the ability to cut 30 pt. thickness, this demonstration features die cutting plastic ID card carriers. The ID card is kiss-cut within the carrier for easy handling and mailing. Other samples include folded cartons, retail and gift tags, kiss-cut label sheets and many more. Rollem is known for providing slitting systems to many of the world’s top web-to-print companies and now visitors have the opportunity to mirror those finishing systems. The Jetstream XY bi-directional slit, score and perf system converts 8-up postcards sheets in one uninterrupted process; sheets are edge trimmed, bleed slit and delivered into 100% accurate stacks! The Insignia 6 flexo-magnetic die cutter offers easy operation and fast changeovers for short to long runs with a wealth of production capabilities. Die-cut, kiss cut, score and emboss with this flexible format die cutter. The key demo features the IS6 cutting and finishing presentation folders in one process. Flat sheet to folded product in one step. Known for a high degree of accuracy and dependability, Rollem delivers the finest finishing equipment your clients demand with less labor and greater automation and integration with other devices. See these and other print finishing systems at Print ’18, September 30-October 2, 2018, Chicago, IL, Booth #1423. For more information, contact Rollem USA toll free (800) 272-4381.